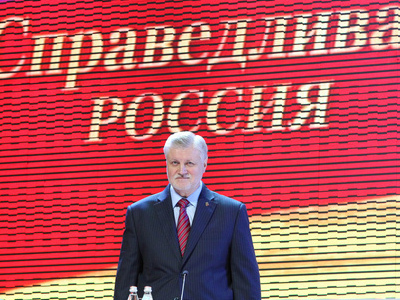 Moscow authorities do not mind rallies organized by “serious” political forces in order to solve burning problems, but will not allow gatherings of a bunch of troublemakers, Mayor Sergey Sobyanin has said. At a meeting with journalists last Saturday, Sobyanin was asked to comment what principles the capital’s authorities use when deciding who can get permission to stage a rally in Moscow and who cannot. 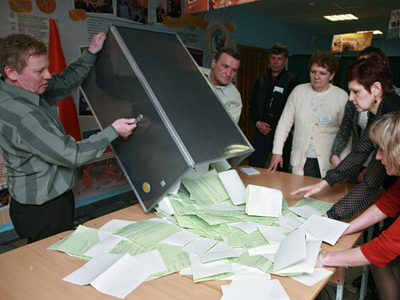 The mayor noted that there is no absolute fairness in making such decisions and it depends on what political force applies for such permission, cites Kommersant daily. According to the mayor, a rally which is being held by a serious political organization that is able to attract tens of thousands of people to resolve pressing problems is one thing. “But it is a different matter when several dozen troublemakers attempt to stage an action to shock public,” he said. Communists normally gather a lot of people for their rallies, and the Moscow authorities block streets and squares to traffic for the time of the event, Sobyanin said. However, when it comes to showy actions by some opposition forces, blocking roads is irrational. The mayor underlined that the city government is neutral towards these kinds of events and provides sites for staging rallies to everyone. “But we cannot indulge all the wishes, especially when it comes to holding events on Red Square or Tverskaya Street,” he pointed out. Organizers of many events use the following principle: “we want to stage an action only where it is not permitted, and the Constitution gives [authorities] no right to ban that”. 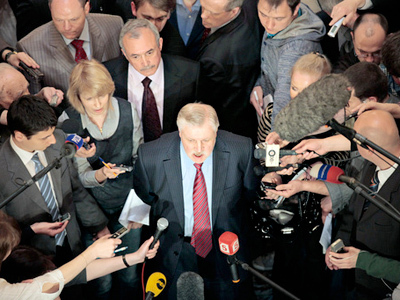 Sobyanin referred primarily to the “Day of Wrath” and “Strategy 31” opposition rallies. 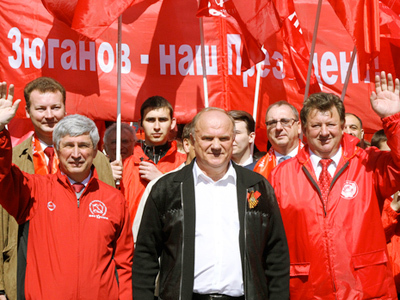 Last week, Sergey Udaltsov, the leader of the opposition Left Front movement and one of the organizers of the “Day of Wrath” in Moscow said that the Moscow mayor’s office refused to allow the rally on June 12 on central Theater Square and suggested a different location. Explaining their decision, the authorities said that another event – Day of Russian crafts – will be held on the site. The opposition, however, argues that the government’s proposal does not stand up to scrutiny, since the other event will be held not exactly at the site that the protesters had in mind. They are planning to demand that the authorities still allow the opposition’s gathering on Theater Square. Or, as an alternative, they could consider staging a meeting on Pushkin Square in central Moscow, the Day of Wrath organizing committee press service reported. On June 12, when the Day of Russia is celebrated, the protesters plan to take to street demanding a change of power, free elections, registration of opposition parties, social justice, an effective migration policy and so on. At the end of every month with 31 days, “Strategy 31” opposition movement attempts to stage a rally in support of Article 31 of the Russian Constitution, which guarantees the freedom of assembly. 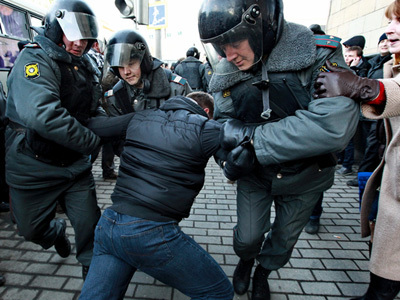 But as they fail to come to a compromise with authorities over the site of the gathering (the protesters insist that it should be Triumfalnaya Square) and the number of participants, the rally gets dispersed by police every time and organizers get detained. Commenting on Sobyanin’s statements, Lyudmila Alekseeva, the head of the Moscow Helsinki Group human right organization, noted that there are no such terms as “troublemakers” and "shocking behavior" in the constitution. “I wish Sobyanin did not think up various definitions and respected the law,” she said. 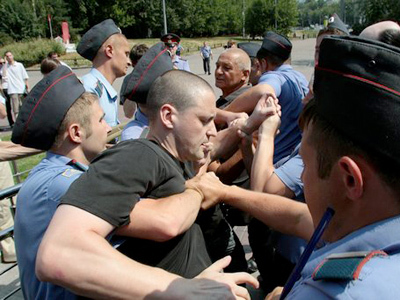 Eduard Limonov, the leader of unregistered party The Other Russia and the founder of the Strategy-31 movement, stated that no law sets limits on rallies depending on the number of participants. 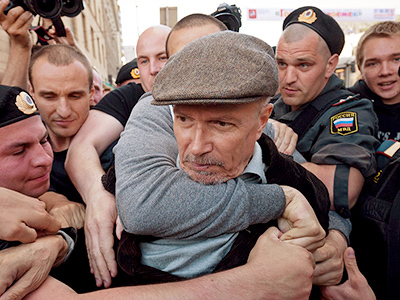 Limonov, along with other movement’s activists was detained in Moscow on May 31 as they attempted to hold an unauthorized gathering on Triumfalnaya Square. All protesters were released a day later. Several radical politicians will have to appear before the court on June 8-9 on charges of organizing an unauthorized rally.